No passports needed for this trip around the world! 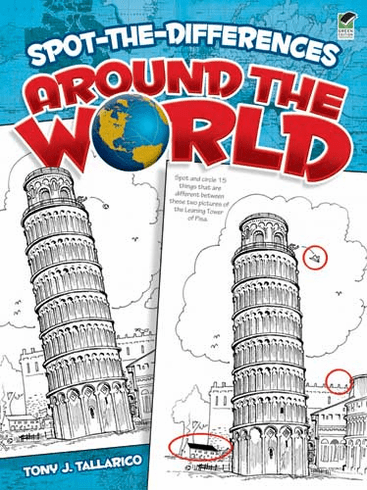 Twenty puzzles take kids on an international sightseeing junket, where they'll take a close look at two different versions of the Leaning Tower of Pisa, Taj Mahal, Eiffel Tower, Parthenon, and other famous landmarks. Includes fact-filled captions and complete solutions. Author/Editor: Tony J. Tallarico, Jr.